Featherweight Max Holloway (c) vs. Brian Ortega For the UFC Featherweight Championship. Women's Flyweight Valentina Shevchenko vs. Joanna Jedrzejczyk For the vacant UFC Women's Flyweight Championship. A UFC Featherweight Championship bout between Max Holloway and Brian Ortega is expected to serve as the event headliner. The fight was originally scheduled to take place at UFC 226, but Holloway pulled out due to "concussion like symptoms". In the co-headlining slot, a bout for the vacant UFC Women's Flyweight Championship between former UFC Women's Strawweight Champion Joanna Jędrzejczyk and former UFC Women's Bantamweight Championship challenger Valentina Shevchenko was expected to take place. If victorious, Jędrzejczyk would become the first woman to win titles in different divisions. They met previously in amateur muay thai and kickboxing, with Shevchenko winning all three encounters. However on October 2, the UFC announced that Shevchenko would face Sijara Eubanks at UFC 230 instead, as that event was in need of a headliner. The fight between Shevchenko and Jędrzejczyk was put back together a week later though, as a fight between then UFC Heavyweight and Light Heavyweight Champion Daniel Cormier and Derrick Lewis wound up filling the headlining slot at UFC 230. A lightweight bout between Gilbert Burns and Olivier Aubin-Mercier was previously scheduled to take place in February 2018 at UFC on Fox: Emmett vs. Stephens. However, Burns was pulled from the pairing during the week leading up to the event after medical officials deemed that it was unsafe for Burns to cut the necessary weight for the 156-pound limit. The fight has been rescheduled for this event. A middleweight bout between The Ultimate Fighter: Brazil 3 heavyweight winner Antônio Carlos Júnior and The Ultimate Fighter: Nations middleweight winner Elias Theodorou was initially scheduled to take place at UFC Fight Night: Santos vs. Anders. However, Júnior pulled out on August 28 due to injury. The pairing was then rescheduled for this event. In turn, on September 13, it was reported that Júnior was forced to withdraw as a surgery is required to treat the injury that caused the first cancellation of this bout. On October 1, it was reported that Eryk Anders would replace him. A light heavyweight bout between Jimi Manuwa and Thiago Santos was expected to headline UFC Fight Night: Santos vs. Anders, but the bout was scrapped due to an injury suffered by Manuwa. The pairing is now expected to take place at this event. A featherweight bout between Renato Moicano and Mirsad Bektić was expected to take place at the event. 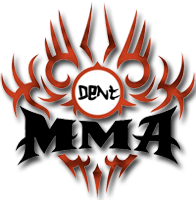 However, Bektic was forced out of the bout due to an undisclosed injury on November 15 . In turn, Moicano is not expected to compete and instead will serve as a "replacement" option in the event that one of the headlining participants is unable to fight at the event. John Makdessi was expected to face Carlos Diego Ferreira at the event. However, Makdessi pulled out of the fight on November 28 and was replaced by returning veteran Jesse Ronson. However on December 4, it was announced that Ronson was pulled from the bout due to being too heavy to safely make the lightweight 156-pound limit. He was replaced by newcomer Kyle Nelson. John Makdessi was expected to face Carlos Diego Ferreira at the event. However, Makdessi pulled out of the fight on November 28 and was replaced by returning veteran Jesse Ronson. However on December 4, it was announced that Ronson was pulled from the bout due to being too heavy to safely make the lightweight 156-pound limit, and he was replaced by newcomer Kyle Nelson. Lets see if it gets added. Yeah Max is a phenomenon, jaw-dropping performance, and the level in general of MMA in this event from start to end was amazing, one of the most interesting events! Valentina Shevchenko looked awesome! Loved that fight as well.